Yeah it looks freakish and heartbreaking at the same time. Good thing it died naturally. You are right agus .. 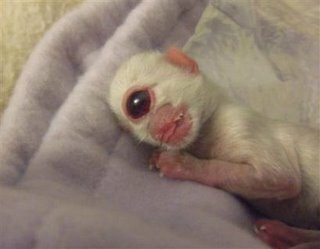 I am also glad that the kitten only survived one day .. no nose,how to breathe? Unfortunately the victims these times were humans.